Nestled within a tranquil cul-de-sac with itÃƒÂ¢Ã¢â€šÂ¬Ã¢â€žÂ¢s mountain views sits this luxurious, south facing two-story home. Stepping through the grand entry, the foyer with high ceiling welcomes you into this beautiful residence. With its marble floors and open floor plan, you will find this home to be both stunning yet cozy. On the first floor, serving as the front of the house you will find the formal living room with a fire place, formal dining room, entertainment room, and powder room. As you venture deeper int Nestled within a tranquil cul-de-sac with itÃƒÂ¢Ã¢â€šÂ¬Ã¢â€žÂ¢s mountain views sits this luxurious, south facing two-story home. 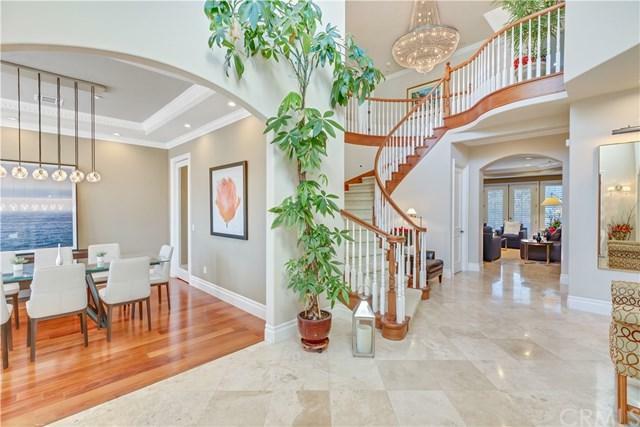 Stepping through the grand entry, the foyer with high ceiling welcomes you into this beautiful residence. With its marble floors and open floor plan, you will find this home to be both stunning yet cozy. On the first floor, serving as the front of the house you will find the formal living room with a fire place, formal dining room, entertainment room, and powder room. As you venture deeper into the home you will enter the open concept family room, master chefÃƒÂ¢Ã¢â€šÂ¬Ã¢â€žÂ¢s kitchen with a breakfast nook, and a large guest room suite. The chef's kitchen features high-end built-in appliances and a walk-in pantry. The family room boasts a fireplace and inviting atmosphere with custom double doors opening up to an expansive garden for entertainment. 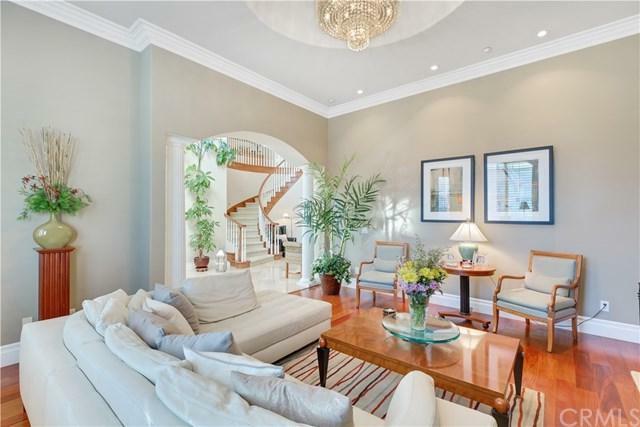 Leading up to the second floor, your eyes will be met with a chandelier and a winding staircase. Upstairs you will find 4 bedroom suites and a media room. The master bedroom has a spacious walk-in closet, beautiful bath with double sinks, walk-in shower, and a jacuzzi. With a total of 5 bedroom suites, 5.5 bathrooms, and various amenities, this property blends both finesse and comfort, creating the perfect home for you and your family. Its amazing location is just a short distance away from local grocery stores, restaurants, banks, the mall, and award winning Arcadia schools. This home is a rare opportunity, so come make this home yours!